What does it mean to be “resident” in a country? Legal Residence – this is what you might call “the legal right to live in a country”. You are a legal resident of somewhere.Normally, when you go to a country you aren’t a legal resident you’re simply a visitor meaning you’ve got a limited amount of time before you need to leave. Or alternatively someone might enter the country illegally and not be allowed at all. In either case the point is there’s a difference between this and becoming “legally resident”, essentially meaning you’re allowed to live there. Tax Residence – this is when you are subject to the local country’s tax rules on ALL your income.Let’s clarify this point as there’s some confusion here and as with anything important the devil is often in the details.You could be subject to tax in a country on a portion of your income without being resident there. For example if you own investments in that country or generate income in that country those investments or that income might be subject to local tax even though you aren’t resident. This is normal.If you become tax resident in a country suddenly ALL of your income falls under that jurisdiction’s rules for example you’re required to comply with their CFC rules if they have any (not the case if you’re not a tax resident).Note, and this is where the confusion comes in. Being tax resident does not necessarily mean all of your income is subject to taxation in that country. Many countries have territorial tax regimes, remittance based tax, and other tax regimes exempting certain income. What it means is all your income (and in fact your assets) are subject to their tax rules. You can be tax resident somewhere without being a legal immigrant. For example, illegal immigrants to the US are still expected to pay US taxes. By contrast you could be a legal resident of a country and not be subject to their tax rules for example in Paraguay it’s possible to obtain a legal residency permit but spend virtually no time there and not be subject to any tax. A visa is essentially permission to be in a country for a given period of time. In some cases visas are granted automatically so called “visa free” or easily when you arrive in a country “visa on arrival”. Sometimes you’ve got hybrids of this such as the “Visa Waiver Programs” of certain countries. The point is you’ve got legal access to a country under certain conditions. 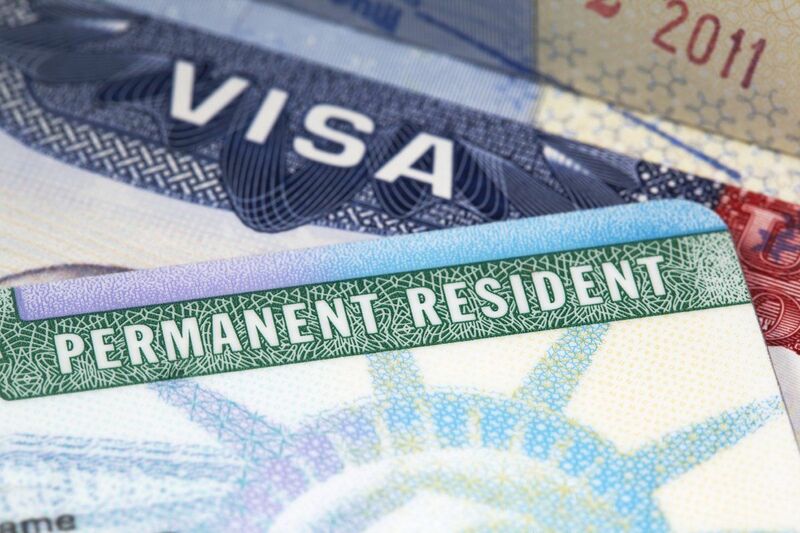 Usually, people will progress as they go through an immigration process from a short term visa often without any working privileges to a visa that maybe allows them to stay long term, perhaps to work, and eventually leads to permanent residency. Permanent residency permits are when you no longer need to obtain or renew visas and usually precede the ability to gain citizenship. What’s the Difference between Permanent Residency and Citizenship? Generally, citizenship entitles you to vote and obtain a local passport to travel with. Prior to this, with rare exceptions being a permanent resident doesn’t entitle you to foreign travel privileges or voting privileges. Usually, though not always, citizenship cannot be taken away from you. Usually, you need to first become a resident, then you can maybe eventually apply for citizenship. This process can in some cases take 20 years, in some cases it’s not possible at all. But there are countries where you can skip that whole process and gain citizenship directly through investment. Hence the citizenship by investment services we offer to help you. Citizenship rarely determines whether you’re taxable. Residency or rather tax residency determines whether you’re taxable. The US and Eritrea both have citizenship based taxation by which you might say citizenship deems you an automatic tax resident. However, for most countries in the world you can in theory have citizenship without necessarily being taxable and of course you can be taxable without being a citizen. In other words for those who want to adjust their tax burden it might not be necessary to obtain a second citizenship you might simply be able to change your residency. This is great news for you because it turns out it’s often much easier to become a resident of a country than a citizen. However, keep in mind the rules to become a tax resident do not necessarily work in reverse to make you a non-resident. This is probably the biggest mistake people make. For example, in most countries, whether you’re a legal resident or not if you spend 183 days or more in the country baring a few rare exceptions you’ll be deemed a tax resident, fair enough. BUT being out of the country for more than 183 days per year often DOES NOT make you a tax non-resident. In fact depending on the rules of the country you could be out of the country for the entire year and still be a tax resident of the country and liable for tax therein. If you’re looking to shift your tax residence you need to consider not only your residency somewhere else but also your tax non-residency in wherever you came from.